Quick Facts * Wednesday’s game will mark just the second ever matchup on the hardwood between Clemson and East Carolina. The Tigers were victorious, 74-40, over the Pirates at home in the 2004-05 season. Sharrod Ford and Shawan Robinson scored 14 points apiece in that meeting for the Tigers. * Four players on Clemson’s current roster played in the 2004-05 meeting with East Carolina, but one will be inactive for Wednesday’s game. James Mays had three points and four rebounds in the 2004-05 game, but he is out with a hip injury. Sam Perry grabbed six rebounds in 17 minutes in the first meeting, but he is listed as questionable for East Carolina. Cliff Hammonds had four assists and three steals, while Matt Morris earned a minute of play as well. 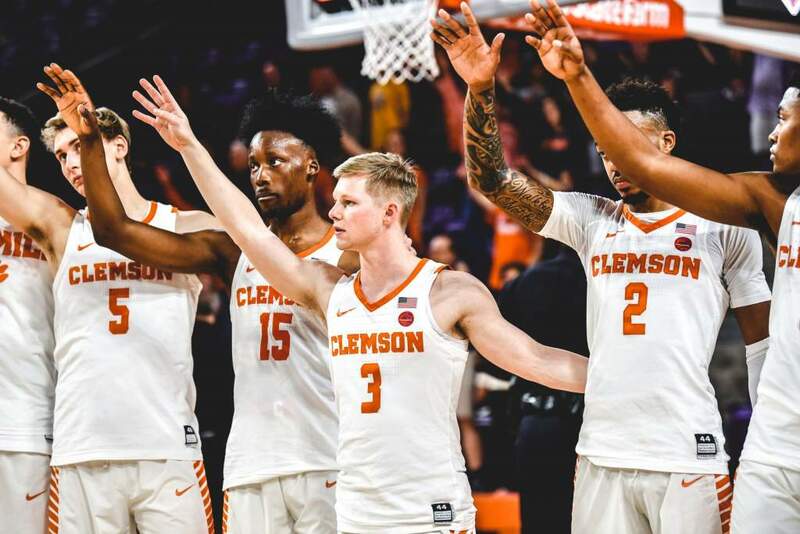 * Clemson’s 85-74 victory over South Carolina last Saturday was its sixth straight over schools from the Southeastern Conference. The Tigers were 4-0 last season and also defeated Mississippi State on the road earlier this season. * Clemson is ranked in both the basketball and football polls this week, the third straight week the Tigers have been ranked in the top 25 of both. Clemson is 17th in the USA Today and 18th in the AP, while the football team is 15th in the AP and 17th in the USA Today. * Clemson leads the ACC in four team statistical categories so far this season. The Tigers lead the league defensively in blocks per game (6.71) and steals per game (12.29). Clemson also is first in assists per game (17.0) and offensive rebounds per game (17.29). * K.C. Rivers scored 24 points, a season-best for any Tiger player, in the win over South Carolina last Saturday. He is averaging 16.7 points per game, which ranks seventh in the ACC. He was named ACC Co-Player-of-the-Week after averaging 21 points and 10 rebounds last week. * Cliff Hammonds leads the ACC in assist-to-turnover ratio early in the season. The Cairo, GA native has 30 assists compared to just seven turnovers, a 4.29 ratio. He was second in the league in the category as a junior. * Hammonds needs just two made three-pointers to move into third in school history, ahead of former teammate Shawan Robinson, who made 203 from 2002-06. * Trevor Booker needs just two blocked shots to reach 100 for his career. He needs just one to go ahead of Larry Nance on the Clemson all-time list. Nance had 98 from 1977-81 before going on to become the number-one shot-blocking forward in NBA history. * Booker ranks in a tie for second in the ACC in rebounds per game (9.6). He also is second in the league with 2.86 blocks per game. * Freshman point guard Demontez Stitt ranks fourth in the ACC in free throw percentage with a .909 figure. The Matthews, NC product has hit 20 out of 22 attempts so far this season.